Castleford Tigers Women made it two wins from two in the Women’s Super League when they won 36-14 away to last year’s champions, Wigan Warriors. The early season pacesetters followed up their convincing opening day win over York with another quality display that augurs well for the 2019 season. The Tigresses led 20-10 at half-time after tries by Sinead Peach, Tara Stanley, Lacey Owen and Georgia Roche and two conversions kicked by Stanley. They maintained their control with Georgie Hetherington next to go over after the break. Wigan hit back to make it 24-14, but Stanley went in for two tries in the last five minutes to complete her hat-trick and kicked two more goals for a personal haul of 20 points. 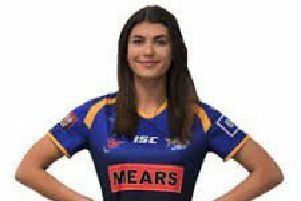 Michelle Davis kicked a penalty for Wigan with Alison Burrows and Gemma Walsh (two) scoring tries. More on the game in Thursday’s Pontefract & Castleford Express.